J. David Jackson made his conducting debut in Brussels’ Théâtre Royal de la Monnaie with Don Pasquale, and has since won acclaim in Europe and America with his “first-rate” conducting” (Boston Globe), “impressive command” (Opera News), “surging quality forged by the maestro” and his “love for this sublime music” (Moscow Kultura) and a “triumph, the unquestioned highlight of the season” (Denver Post). Mo. Jackson made his Metropolitan Opera conducting debut with the new Richard Jones production of Hansel and Gretel. Other conducting credits at the Metropolitan Opera include Simon Boccanegra, starring Placido Domingo in the title role, Adrienne Pieczonka, Marcello Giordani and James Morris, and The Queen of Spades, with Maria Guleghina, Felicity Palmer and Ben Heppner. The American maestro recently conducted Handel’s Messiah with the Gulbenkian Symphony in Lisbon, Cendrillon and Turn of the Screw with the Siena Summer Festival, and led concerts with the Slovenian National Orchestra. Recent seasons have also seen Mo. Jackson debut with War and Peace at the Canadian Opera Company in Toronto, Faust at Genoa’s Teatro Carlo Felice, Weber’s Euryanthe at the Glyndebourne Festival, and Elektra at the Istanbul State Opera and Ballet. 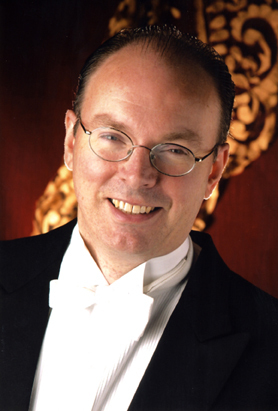 He has conducted Il Barbiere di Siviglia with Opera Omaha, Le Jongleur de Notre Dame at the Central City Opera Festival, and L’Italiana in Algeri at the Wolf Trap Festival, in addition to engagements at the Palm Beach Opera and Théâtre de la Place in Liège, Belgium. At the Théâtre Royal de la Monnaie, he conducted Così fan Tutte, Die Zauberflöte and The Love for Three Oranges on highly successful tours throughout Belgium and Germany. As Music Director of the Intermezzo Opera Festival, he also led the highly acclaimed European premiere of Mark Adamo’s Little Women. Most recently he conducted Verdi’s Simon Boccanegra with Kentucky Opera, where he returns next season to conduct Puccini’s La Fanciulla del West. Boris Godunov, Khovanshchina, and Lady Macbeth of Mtsensk, with La Monnaie. His performances of Tchaikovsky’s The Queen of Spades at the Met and War and Peace in Toronto were also critically praised. Since 1996, his new conclusion to Mussorgsky’s Khovanshchina is regularly performed in Brussels and elsewhere, acclaimed as “probably closest to Mussorgsky’s original intentions” (The Times). Mo. Jackson’s commitment to contemporary opera is reflected in his recent successes as Music Director for American Opera Projects productions of Stefan Weisman’s Darkling and Deborah Dratell’s Marina. His performances of Act 2 of Lewis Spratlan’s Life is a Dream garnered the Pulitzer Prize for Music in 2000. He conducted the world premiere performances of Kamran Ince’s The Judgment of Midas in January 2011. He has recorded Garrett List’s Trees with the National Orchestra of Belgium, and Bent Lorentsen’s Die Musik kommt mir äusserst bekannt vor for Danish National Radio. A versatile artist, Mo. Jackson is also active as a composer. His Model Love, for three singers, chamber orchestra and rock band, was premiered at Lincoln Center’s Kaplan Penthouse in 2011. Other works such as Stones of Love, for singers and chamber orchestra, based on texts of Pablo Neruda, his Magnificat for chorus, and his Violin Fantasy and Sonata for Cello and Piano have been heard in Europe and the United States. He recently completed his Concerto for Violin and Orchestra; a new song cycle, Water: the Bearer of Love, for two singers, and ancient and modern instruments, based on texts of Homer, Pliny, Statius, Propertius, and Jean-Pierre Otte, will be premiered in New York in the spring of 2014. Mo. Jackson was trained as a pianist and violinist before beginning his conducting career. He attended Amherst College and the Peabody Conservatory, studying with conducting legends Otto Werner Mueller, Franco Ferrara and Sixten Ehrling. In addition to his native English he speaks Italian, French, Spanish, German and Russian, and is learning Czech and Portuguese.